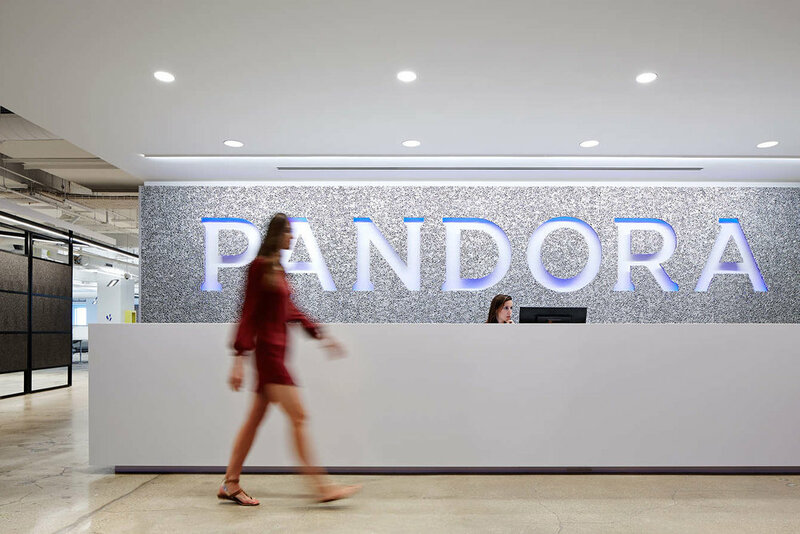 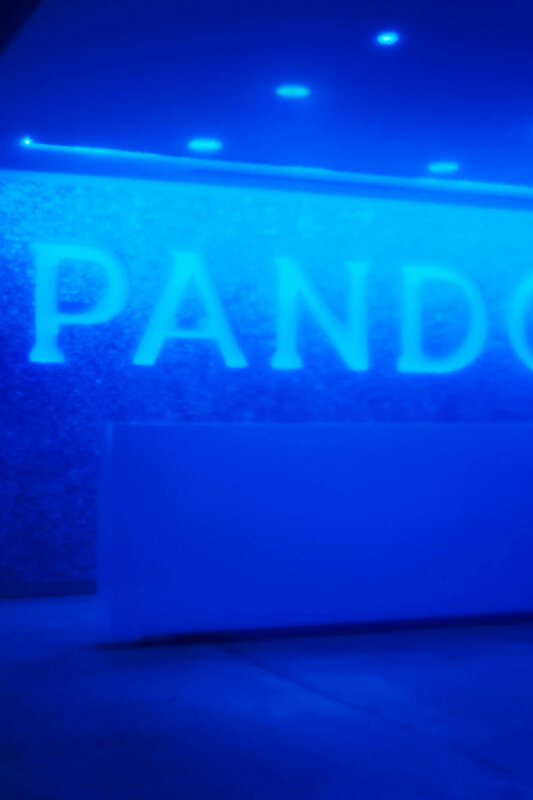 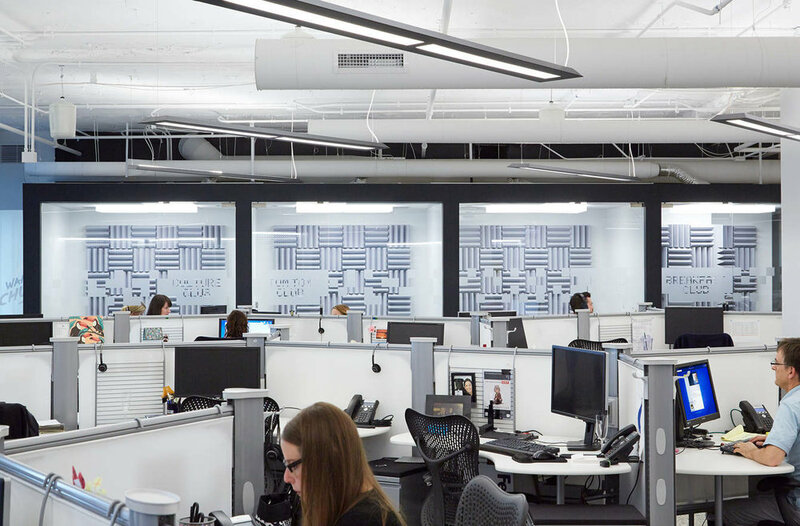 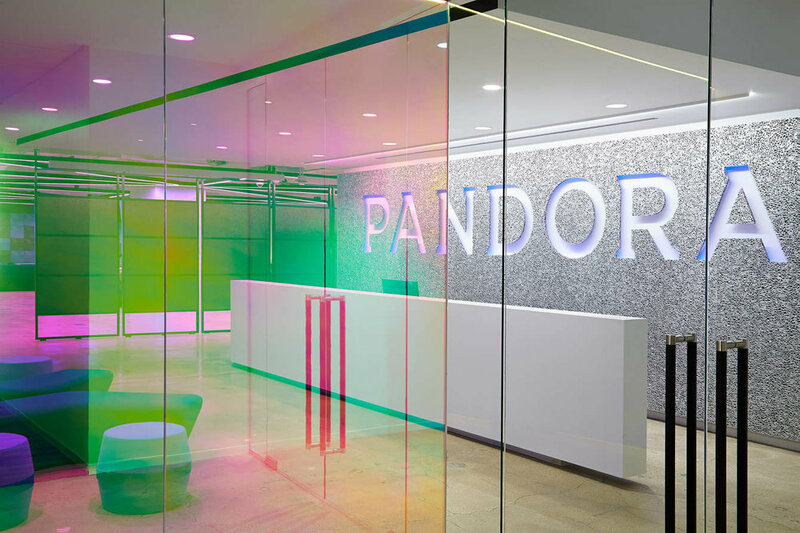 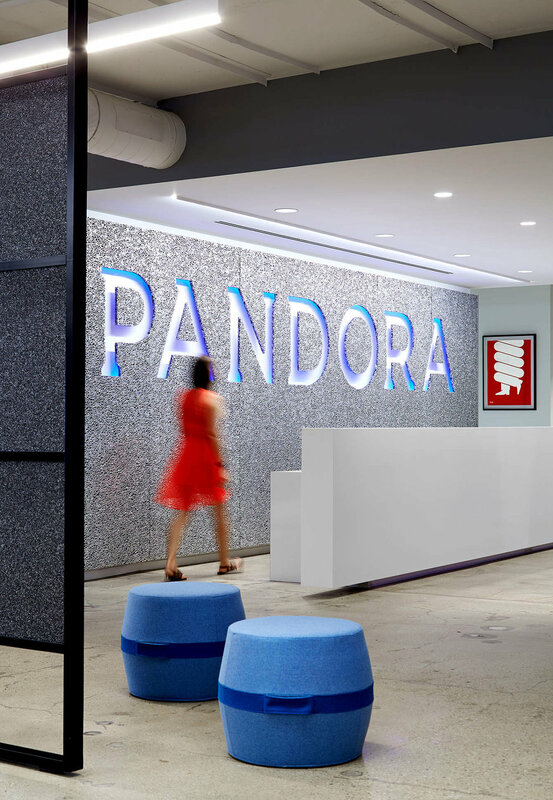 Pandora has been instrumental in changing the way we all listen to music, so why not use their workplace to pay homage to the 1980s - which changed the face of music forever? 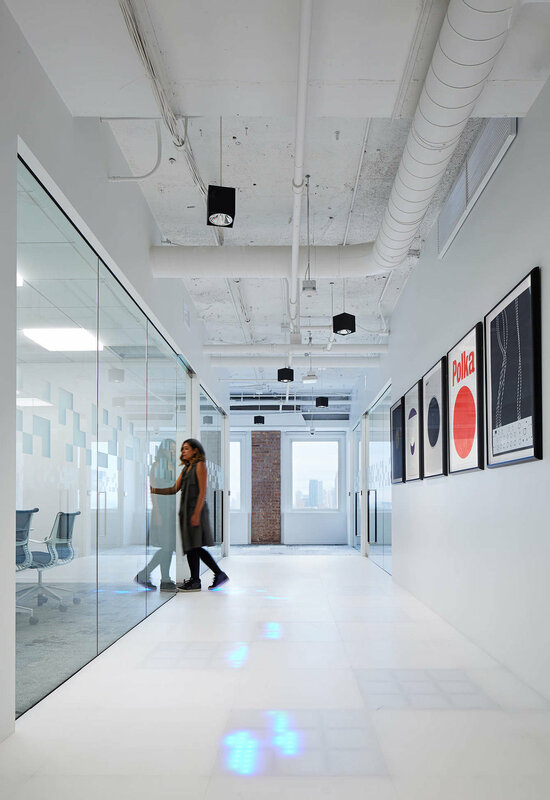 The new office celebrates the decade's most iconic musicians, enshrining them in key meeting areas. 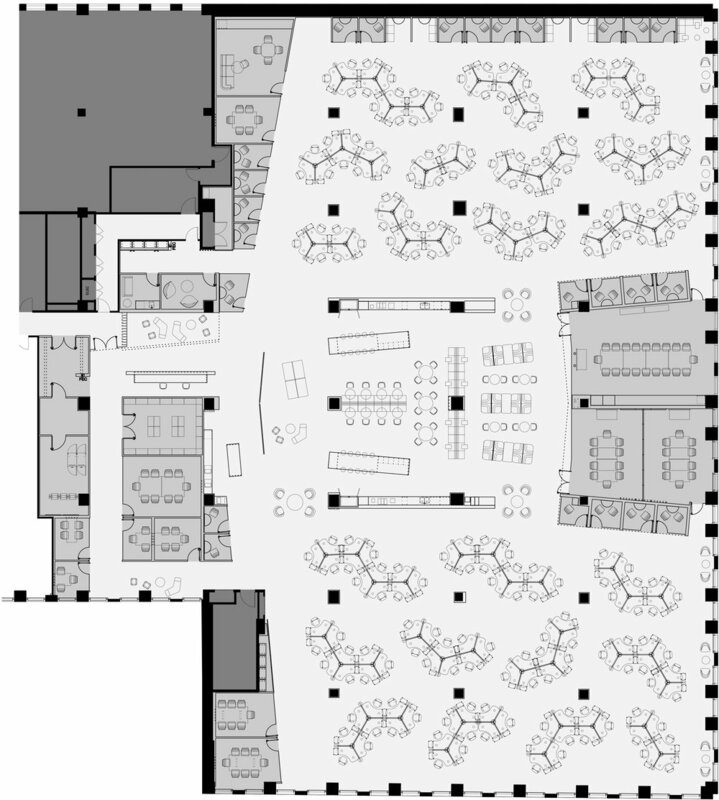 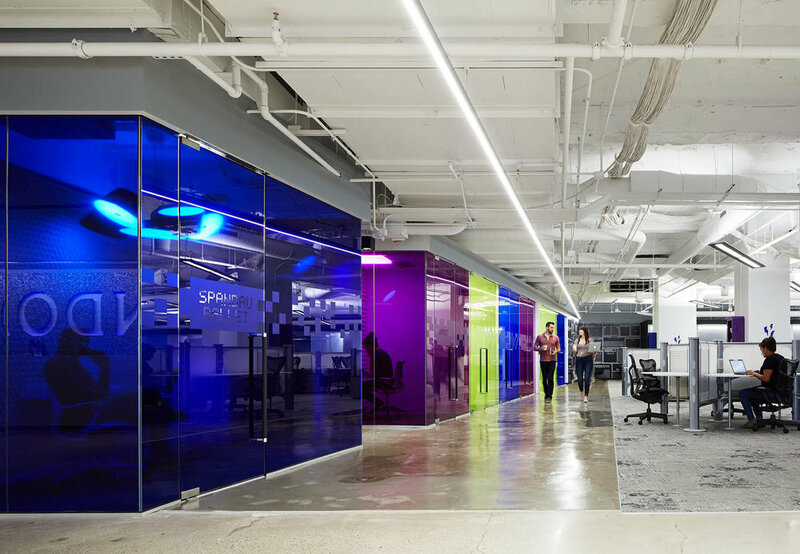 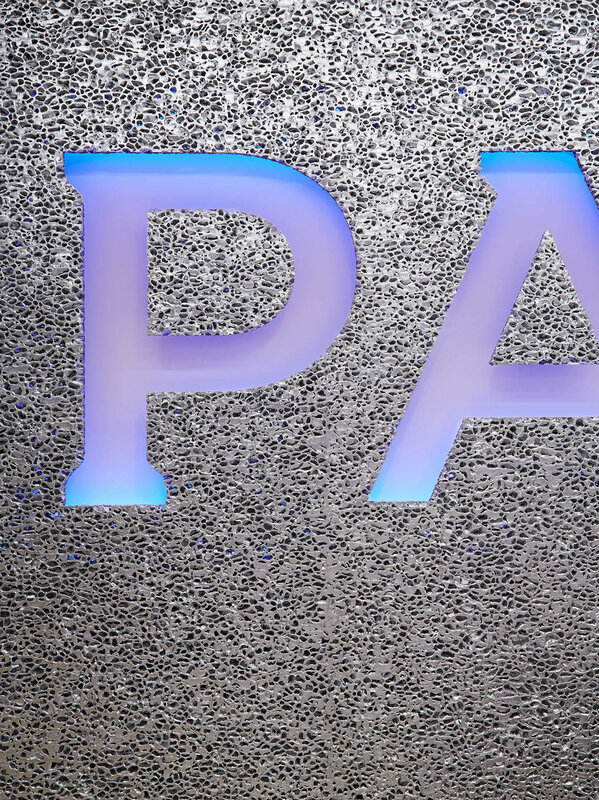 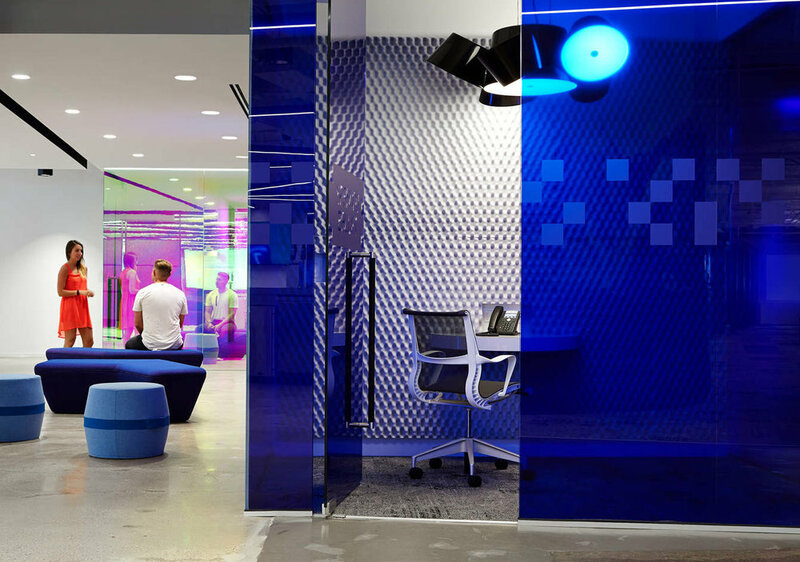 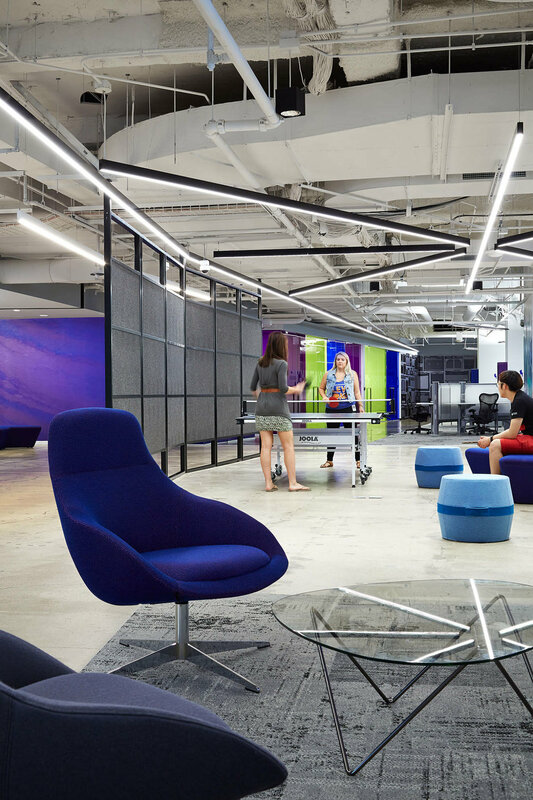 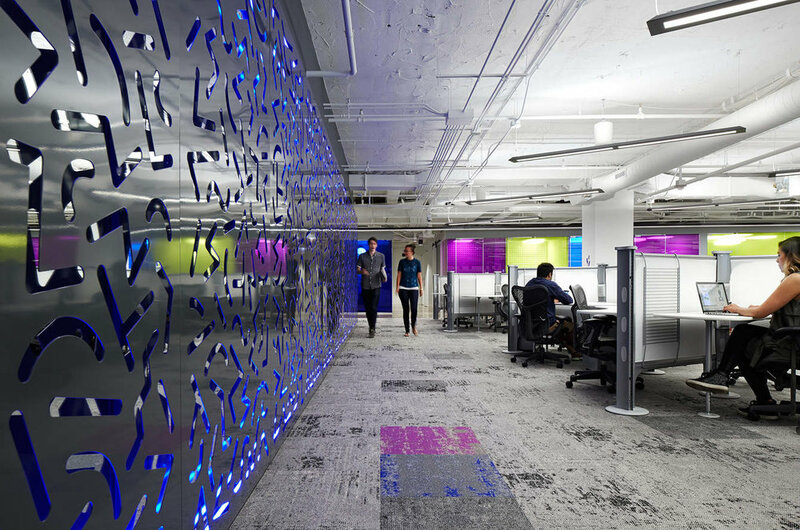 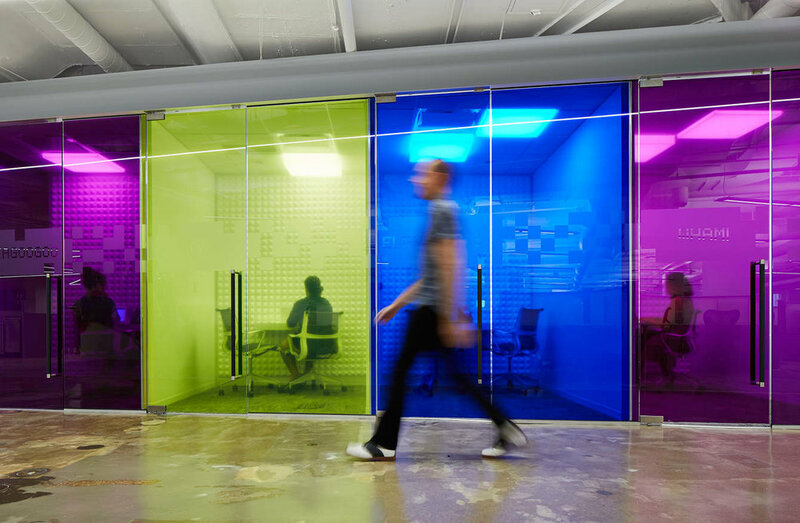 On an abstract level, finishes and lighting in the office play a key role in communicating Pandora’s creative culture, with acid-washed carpet on the floors and 8-bit video game references on the walls as well as color changing accent lighting in the cafe. 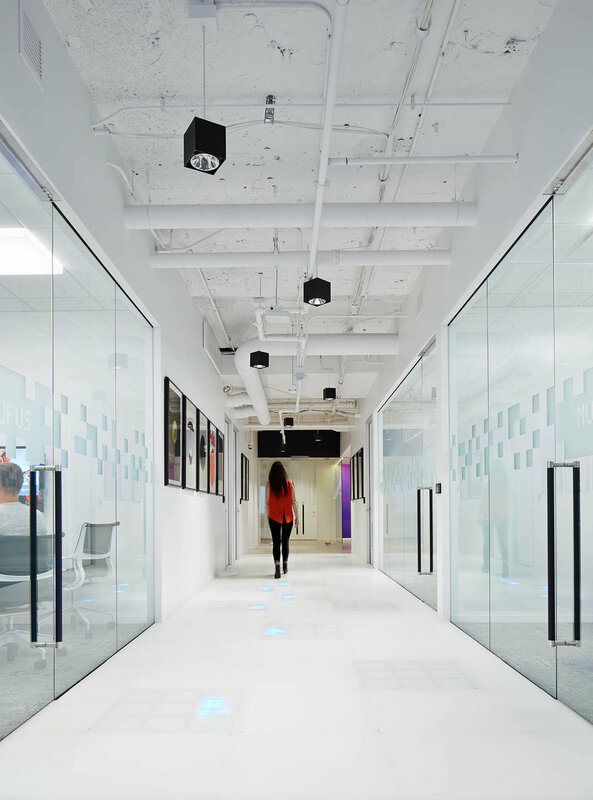 However, we really think it's the light-up dance floor straight out of Michael Jackson’s “Billie Jean” music video that will make you want to rekindle your youth and bust a move when you visit the office.